It is easy to brighten up your bathroom with a vintage bathroom lighting. 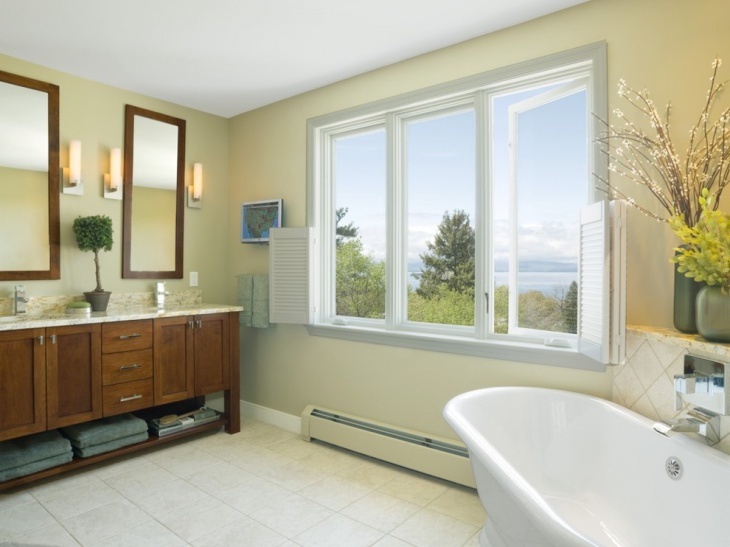 All you need to do is to determine what kind of lighting fixture would look great with your bathroom interior design. To achieve the best vintage look, it is also important to make sure that you have enough space for the lighting fixtures. Keep in mind the most vintage lightings are bigger than the modern types. 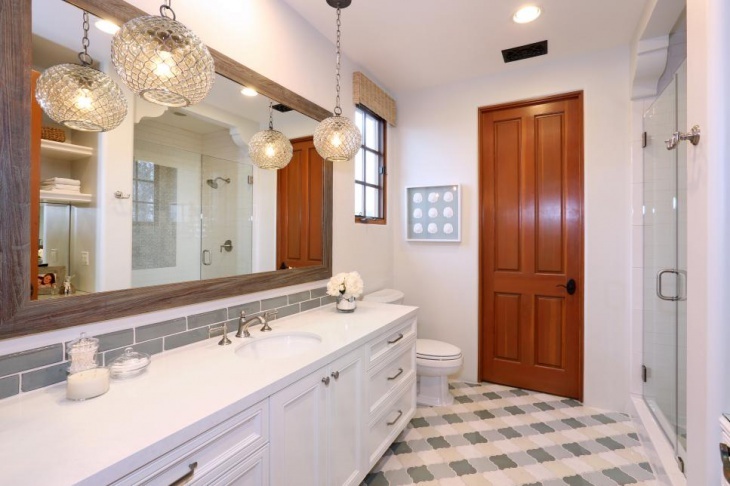 Pendant lights give bathrooms a vintage appeal. 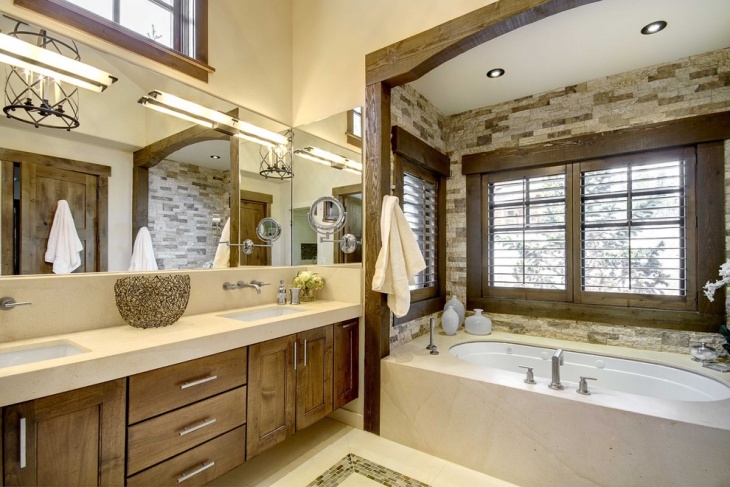 This particular bathroom with yellow tile accent looks magnificent with the pendant lights hanging above the sinks. The wooden cabinets on the other side, plus the ceiling lights, add softness and warmth to the whole set up. 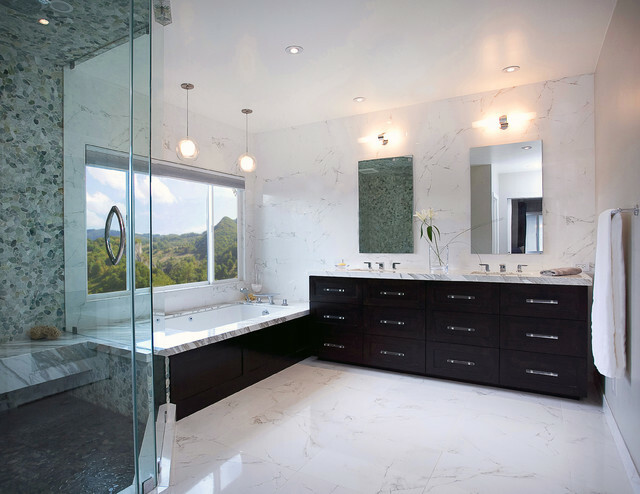 The simple design of this bathroom is achieved by incorporating the bright lights provided by the mini pendant lights in clear-glass and satin-nickel finish, and the flattering contemporary design of the bath bar lights placed above the vanity mirrors. 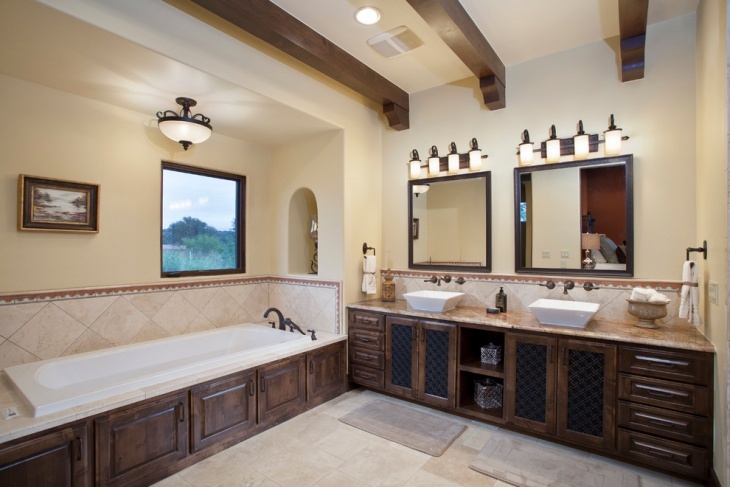 To achieve the beautiful Mediterranean appeal for this bathroom, big glass pendant lighting fixtures are used. 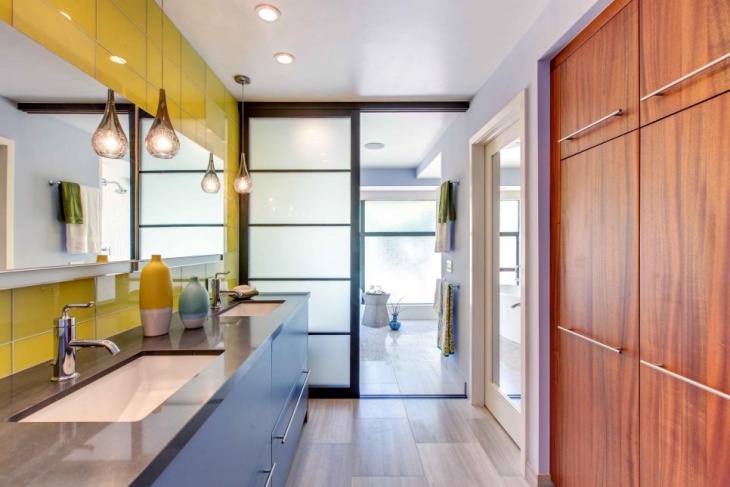 The exotic look is completed with the use of yellow tile flooring. The rustic appeal of the brick walls used for this bathroom is enhanced by the contrasting vintage look of the three mini pendant lights in polished chrome and frosted glass finish. The whiteness of the rest of the room also brings out the redness of the brick wall, making this a unique and innovative bathroom design idea. If it is contemporary bathroom lighting with a traditional twist that you are after, one of the best choices is a simple lighting fixture like sconces. Wall-mounted lightings placed between two vanity mirrors above the sinks provide most of the brightness for this bathroom. You may also use small sunk-in ceiling lights for a romantic ambiance. 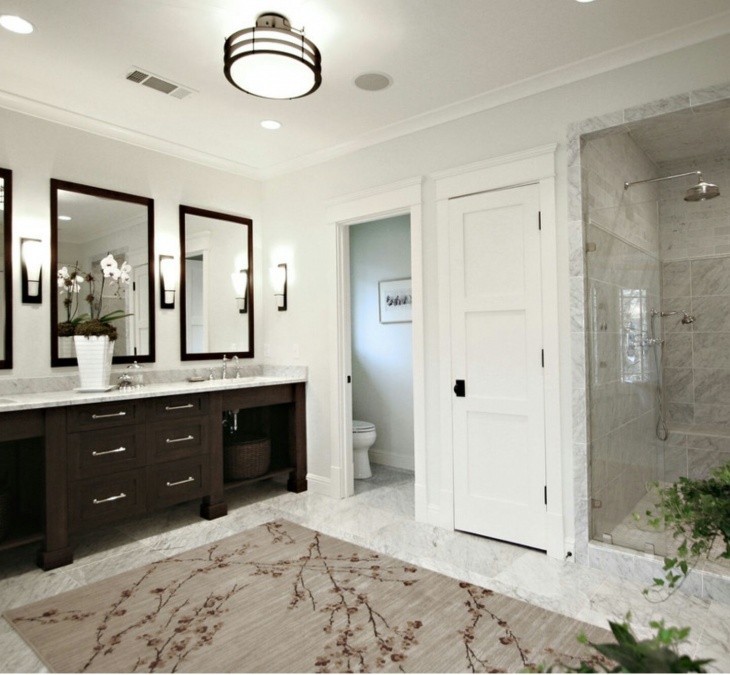 This master bathroom is big and designed mostly in white. What makes it look more vintage is the five-bulb crystal chandelier. 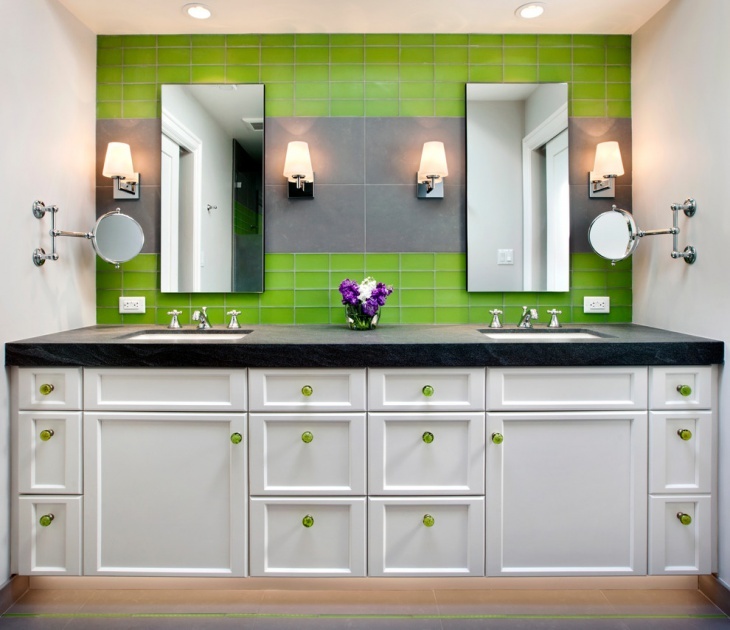 To provide more lights into the big-spaced room, three sconces are placed between two vanity mirrors above the sinks. 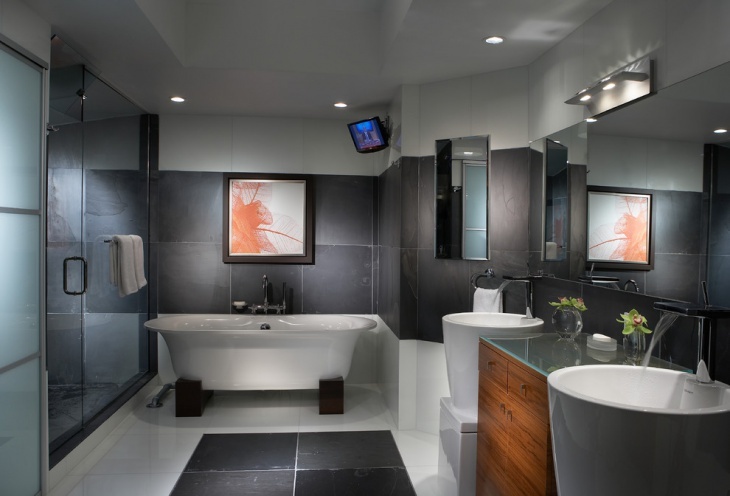 The small ceiling lights illuminates the tub area for additional drama into the design. 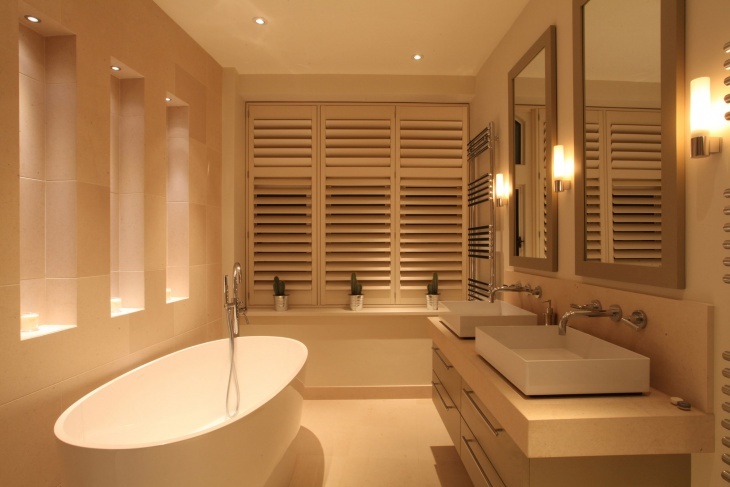 For high ceiling bathrooms the best option for lighting is of course, the pendant types. 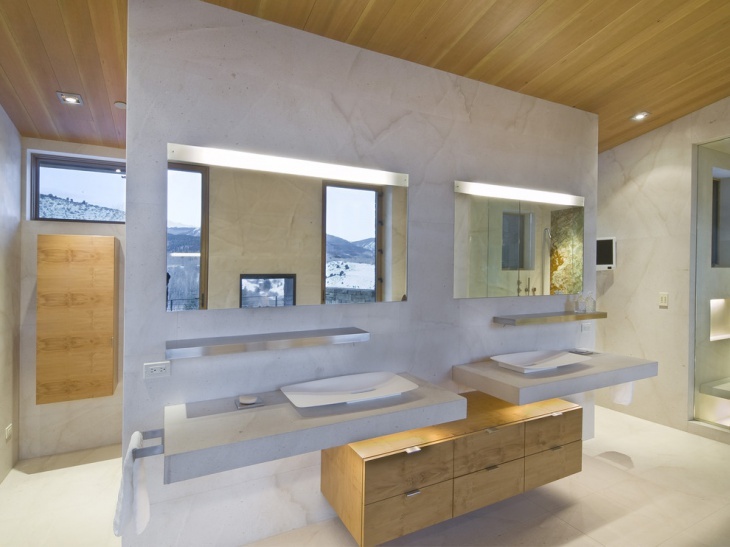 For this particular bathroom, custom-made pendant lighting designs are used to provide light for the vanity mirrors and sinks. 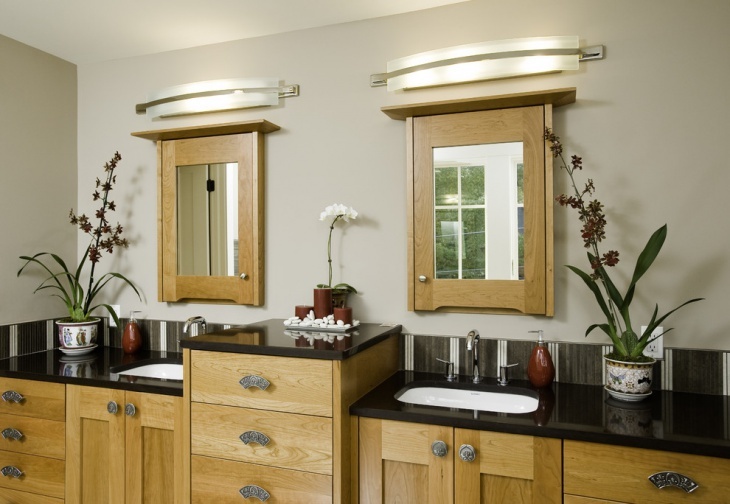 The long vanity mirrors and the dark wood cabinets add elegance to the whole set up. 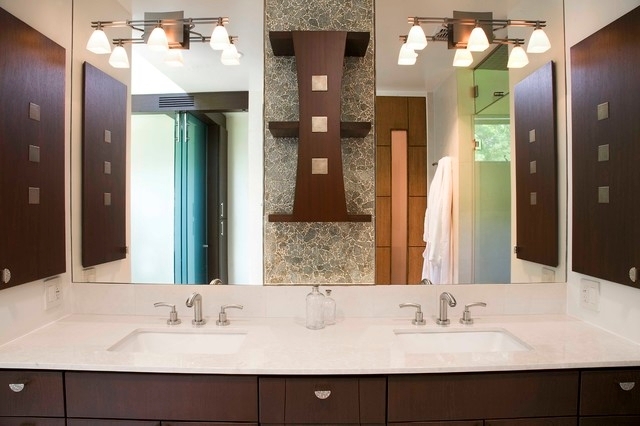 Wall sconces placed between the bathroom mirrors add good lighting to this traditional bathroom design. The main circular ceiling flush mount light provides additional brightness when needed. The best choice for this kind of lighting fixture is one with energy-efficient bright LED beneath the opal glass. To give your bathroom the luxury look without being going over the edge, the best choice would be to use three-pendant chandeliers . The cascading lights are definitely gorgeous and they add drama to the room. 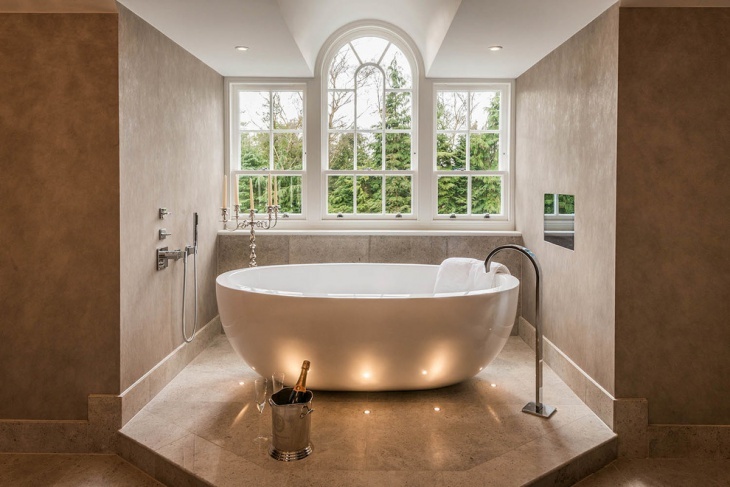 The luxury design of this bathroom is completed with the additional brightness provided by the small ceiling lights. The main flush mount ceiling light used in this bathroom design provides the modern appeal that goes well with the traditional look of the single-light vintage vanity lighting. 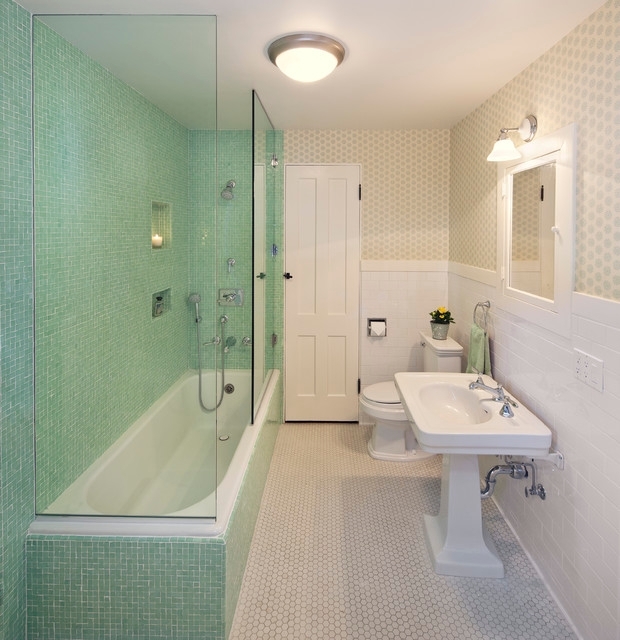 The traditional appeal is also achieved through the light green tiles (used around the tub and the shower walls), the hexagonal tiles (on the floor and the wall), and the whiteness of the rest of the interior.